Two coats of Deborah Lippmann Nail Polish in Fire On The Horizon. Red Orange Cream. I rarely go for reds and oranges, but sometimes a color just gets me, and Fire On The Horizon is proof of that. This color tho...I love it! 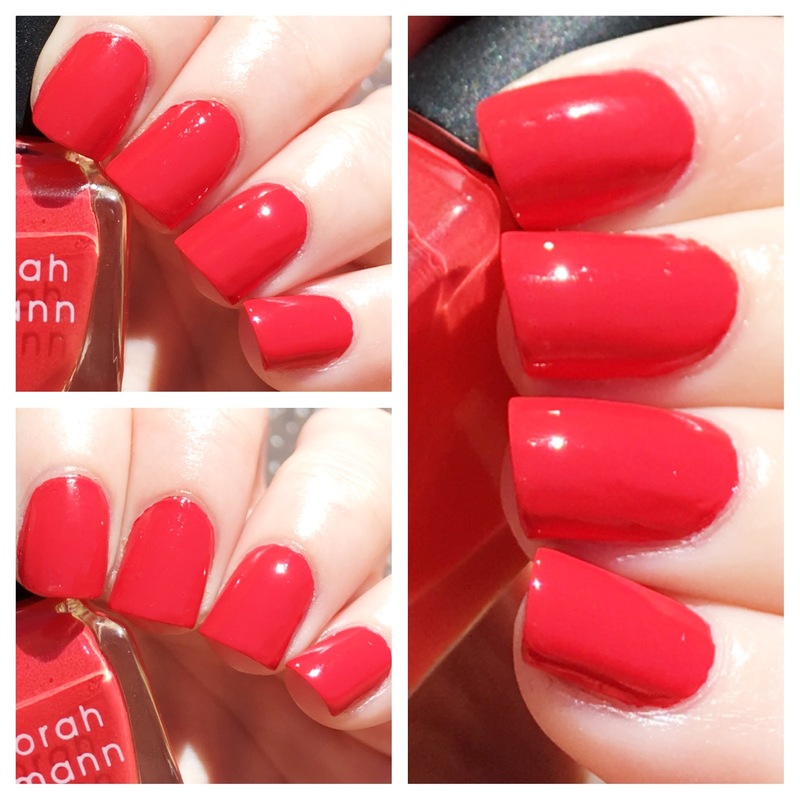 Fire On The Horizon is one of those blood orange shades that is perfect for all of you red mani fans looking for something fresh for the summer. This color in particular is a top fave of mine because it screams high-temps and barely-there bikinis. The formula here was brilliant - not too thick, not too thin. Great review! Great summer color! Such a wonderful summer color! Glad it has a nice formula. This one makes me think of beaches for sure!